Night and I went out alone. She was reticent about leaving the comfort of the barnyard and her field-mates. We took a long, slow saunter down the road and cut into the woods. Her interest picked up as we chose a trail and headed through the brush. There was only my mind to capture our bursts of joyful gallops along the dirt road, the bug-free (al last) trots through the thick underbrush, and the meanderings on deserted lengths of tar. Next on the list was my reward – to kayak on Dublin Lake. I became so incensed at the tardiness of Wilson that I walked, fully loaded with gear to his house. I heard the compressor running as I approached, pumping the dead tire on his truck. All for naught, my anger. As I stomped up the hill through his yard, a huge garden-variety snake slithered away in horror. It was enough to make me retreat to the road and burn off my irritableness walking the extra mileage to his driveway and up the gravel expanse. Wilson was fuming in his own way at the glitch in timing. Slipping into the waters of the lake and watching the boulders retreat to the depths below lifted my mood. The wind blew the kayaks toward the far shore where sailboats were plying the breeze. I slowly spun atop the water to take in the glorious summer homes surrounding the lake and moved into the sun to pay homage to Mt. Monadnock looking down on us. Lists are good and bring a certain sense of accomplishment. Letting it all go and just drifting is more rewarding in the end. This entry was posted in memoir. 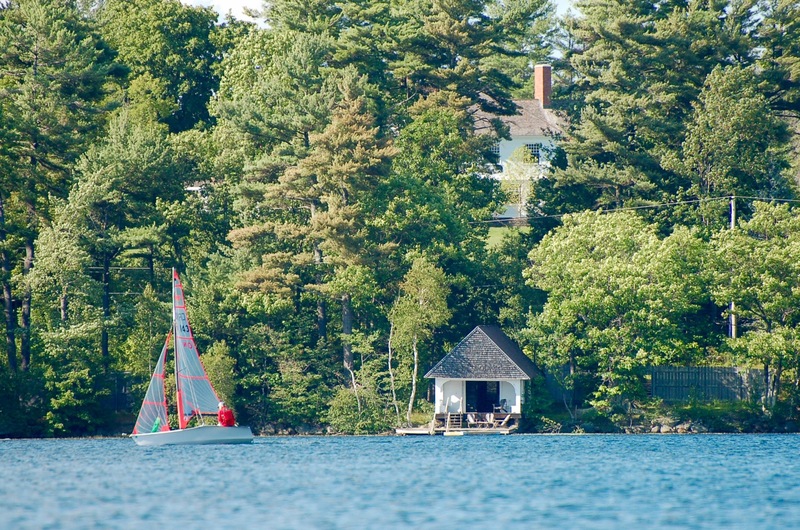 Tagged inspiration, lake sailing, memoir, New Hampshire, summer in NH. I live by lists! It is always rewarding to be able to cross things off as done. At least you were eventually able to cross “Go kayaking” off the list. 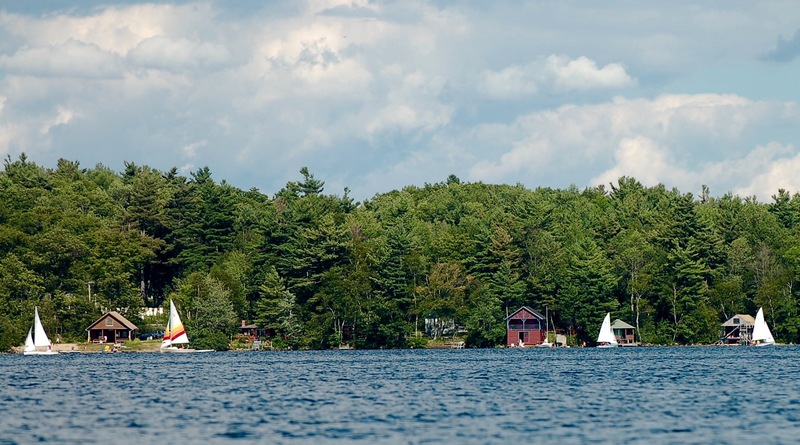 Dublin Lake is one of the windiest lakes in the state. Living by lists keeps me moving forward, there is something so satisfying about crossing things off then throwing the whole thing away! I didn’t know that about Dublin Lake. It certainly had a lot of happy sailors. Kayaking is so much fun. I wish I had started long ago instead of just last year. I always feel great afterwards! Right? There is something about skimming along with the breeze that calms me and makes all the stress just slide right off! Loved your post and I agree. Lists efficiently free up your time so you can relax and then forget about lists while you do something you enjoy. I live by lists and the calendar and when I go on holidays I take off my watch and don’t plan anything! That lake looks very relaxing and you have sunshine!!! It was 3 Celsius (36 degrees), dark and overcast when I walked our dog Rosie this morning. It’s great to see sunny pics, keep them coming! Send me sunny shots in January Mark! It is only fair that you post sunny summer pics when I am in the dread, dead of winter Mark! For now I am sucking up all the sun I can get. As to lists, I have lists of my lists!! I too am a maker of lists. There’s something satisfying about ticking things off. Even so, I like to meander and drift along on my walks. Your sense of direction serves you well when you wander, Marie.